Have a Wobbel Original with felt and you would like replace the felt? You send the Wobbel to us and we will professionally attach it to the Wobbel and ship it back to you. You pay the felt and the postage for returning the Wobbel to you. ATTENTION: This is only available for wool felt, not for pressed felt! Want to create a unique Wobbel? That is also possible. Custom felt costs 10 euro more than our standard colors as they colored and made just for you. 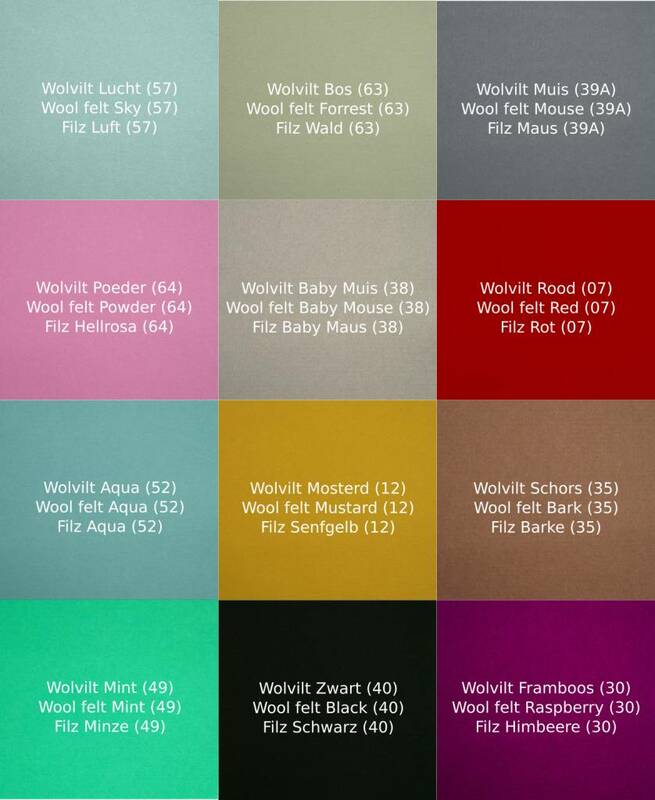 Please select 'custom felt color' in the selection box and not the color number in the comment box. 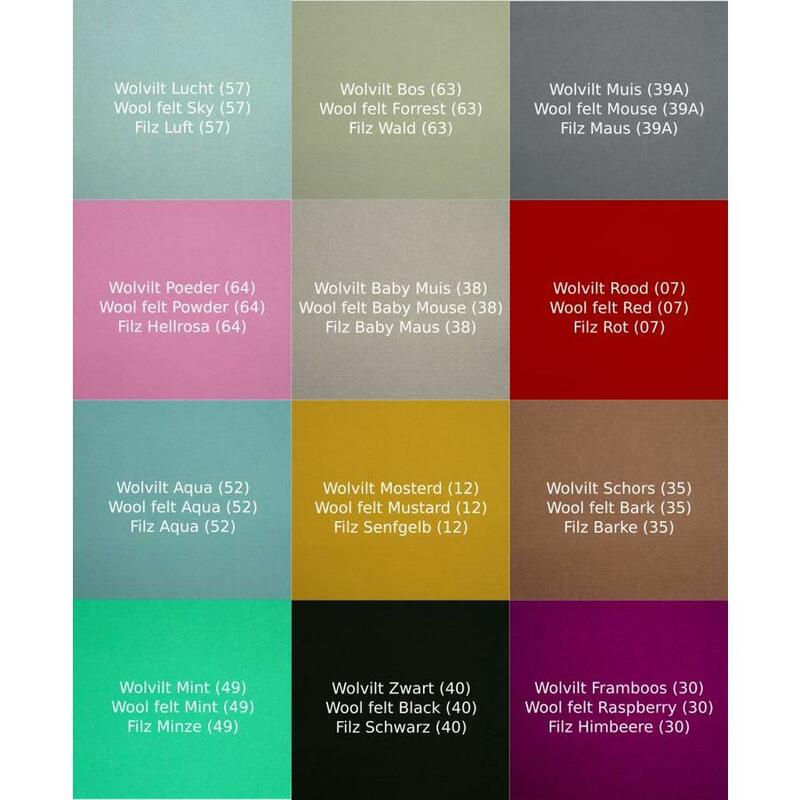 With standard felt colour we will send it back within a week. Note: Custom felt is specially made, so that can take up to four weeks. 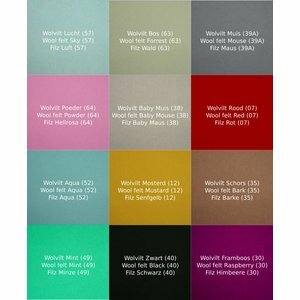 You can ship the Wobbel to us when we receive the felt. Please made sure the Wobbel is packed carefully. It would be a shame if it becomes damaged during trasnport. Wobbel is not liable for damage during transportation.